The Seco Open Clamp Plain Pole Bracket is fashioned after Cradle technology which offers fast and efficient way in mounting data collectors to antenna poles and rover rods. It features a quick-release button and a stainless steel clamp screw that attaches to the pole easily. In addition, depressing the quick-release button will allow the claw quick-release cradle to rotate into a comfortable position ideal when reading the data collector or controller. 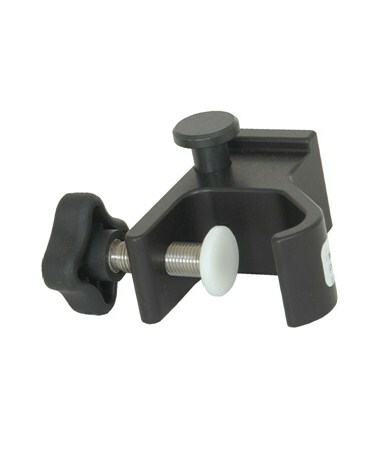 Composed of black anodized aluminum, this bracket is designed for standard poles or rods with 0.75 to 1.25 inch diameter. Weighing only .32 lbs., this laser accessory is lightweight and effective.